Ergoresearch Inc. was founded in Montreal in 1998 in the aim of exploiting business opportunities linked to technologies with applications in the areas of transportation, aeronautics, biomedicine and ergonomics. At the time, corporate focus was on research and development. In February 2003, it became a public corporation by way of a reversed takeover on the TSX Ventures market, and to this date it has been operating under the name Ergoresearch Ltd. The current president and CEO was named in March 2005. The firm’s annual sales at that time fluctuated around the $800,000 mark, while its accumulated losses totaled a few million dollars. The business then had so few liquid assets that it could not have survived for more than two weeks. 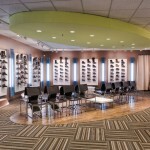 The new CEO put a strategic plan into effect that distanced operations from all distribution activities and channels, to concentrate exclusively on designing custom fit medical foot orthotics. Ergoresearch acquired la Clinique du Pied Équilibre in 2005, vertically integrated itself and ensured the viability of its distribution network. The company at that point was heavily relying on its technology, its mobility (Internet) and an innovative marketing approach. In 2006, Mr Marcel Bouchard became the spokesperson for la Clinique du Pied Équilibre. Sustained organic growth once again drove the company into becoming more actively involved in research and development. The mass production system for custom fit medical orthotics was significantly refined. The firm soon freed itself from certain oppressive effects attributed to its production system. 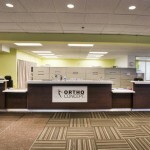 In 2008, with self-generated funds Ergoresearch acquired the assets of Orthoconcept Québec Inc. 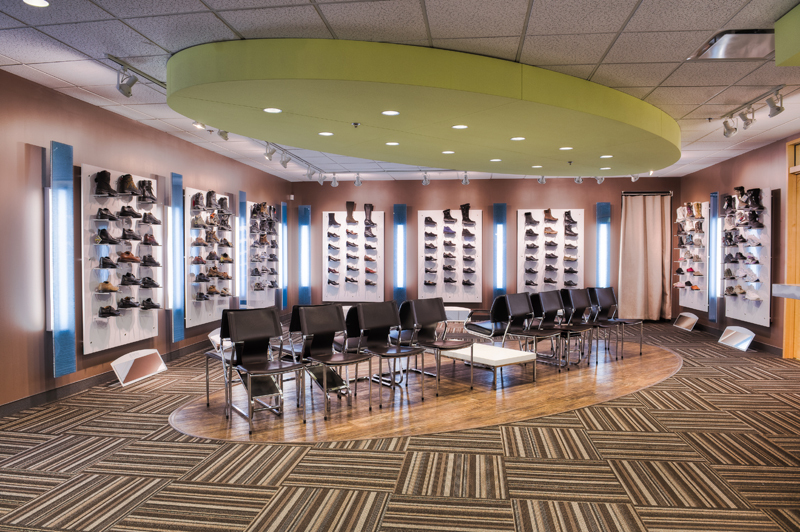 This acquisition not only reinforced its position on the custom fit orthotics retail market, but it also enabled the firm to acquire an interesting logistics platform. 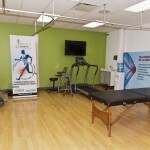 This platform now partially supports its Living Lab knee osteoarthritis center. Ergoresearch proceeded with the creation of an ERGO infrastructures complex in Laval, recentralized its headquarters in August 2010, then its Orthoconcept head office in May 2011. Co-built with the building owner in 2011, Complexe ERGO represents an approximate investment of $4M. It holds Orthoconcept’s general orthotics services, Clinique du Pied Équilibre’s foot orthotics and all Ergoresearch research, development and manufacturing activities. These new infrastructures are integral to the firm’s future growth. They have already enabled the company to officially launch Canada’s very first Living Lab that specializes in knee osteoarthritis. 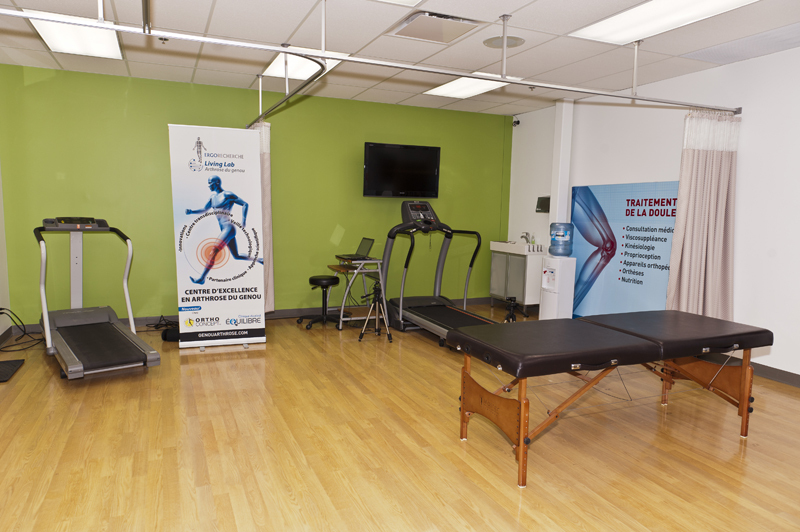 The Living Lab boasts a unique transdisciplinary approach that invites patients to meet all medical and paramedical professionals involved in their knee osteoarthritis treatment. In this way, working together, doctors, orthopedists, kinesiologists, physiotherapists, orthotists and nutritionists take charge of a patient. 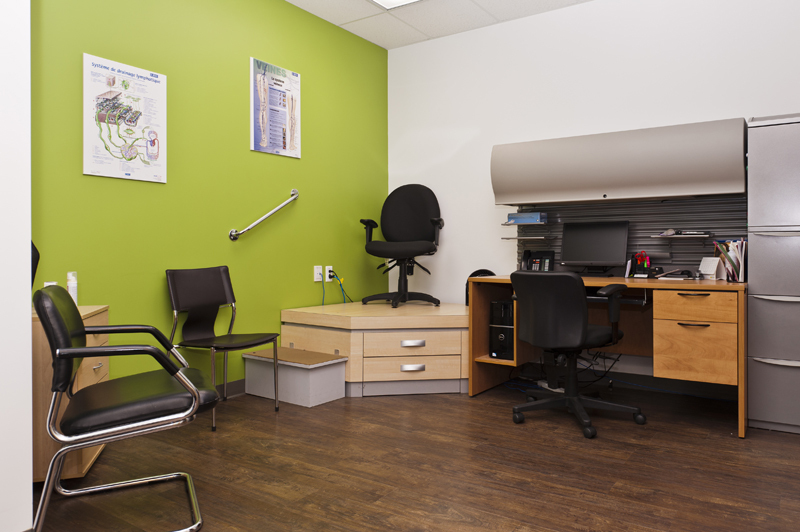 Being under one roof facilitates the prompt dispensing of diagnoses and services, products and treatments to significantly improve a patient’s quality of life. The Living Lab is also an interesting platform where innovations and prototypes are tested and validated. All Living Lab’s positive findings are re-directed or marketed through the company’s distribution network. The Ergoresearch approach is unique: Rooted in innovation and research, it maintains an avant-garde position in the world of orthopedics. The company has the advantage of developing its own technologies in a rigorous clinical setting where patient benefits remain the core preoccupation of our entire team. To ensure the evolution of proposed solutions, a comprehensive research and development program also supports the Living Lab initiative. This program involves contributions from universities, the private sector and institutional partners. A science committee spearheaded by healthcare specialists oversees all clinical protocols. In June 2011, for the first time in its history, Ergoresearch ranked 10th on Quebec’s Leaders de la croissance, an annual listing of high performance businesses by L’actualité magazine. 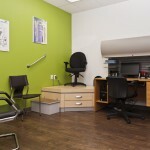 This earned the firm a strong first place in the Quebec medical field. Ergoresearch’s 2005 revenues – $879,324 – had exceeded the $6.3M mark by late June 2010. This 654% growth rate also enabled Ergoresearch to soar to 84th place on Profit Magazine’s Profit 200 Ranking of Canada’s Fastest-Growing Companies – in every field of activities. It also appeared alongside esteemed peers on Deloitte’s Technology Fast 500 in October 2011.